SYDNEY • An Australian schoolboy who discovered a new species of jellyfish in a Queensland canal has had the tentacled creature named in his honour, scientists said. Saxon Thomas was nine in 2013 when he spotted a small, box-like jellyfish while fishing with a friend. Thinking it unusual, he fished it out and, with help of his father, sent it to Queensland Museum. "We looked at it and confirmed it was a new species, so we named (it) after him," Dr Merrick Ekins of the museum said yesterday. "We thought about it and we thought, 'Why don't we highlight the fact that a young, keen, observant lad saw it and recognised this as interesting and thought that he should contact the museum.'" Dr Ekins said three different specimens were found of the small jellyfish, which has a bell measuring about 3cm to 4cm and tentacles stretching much longer. 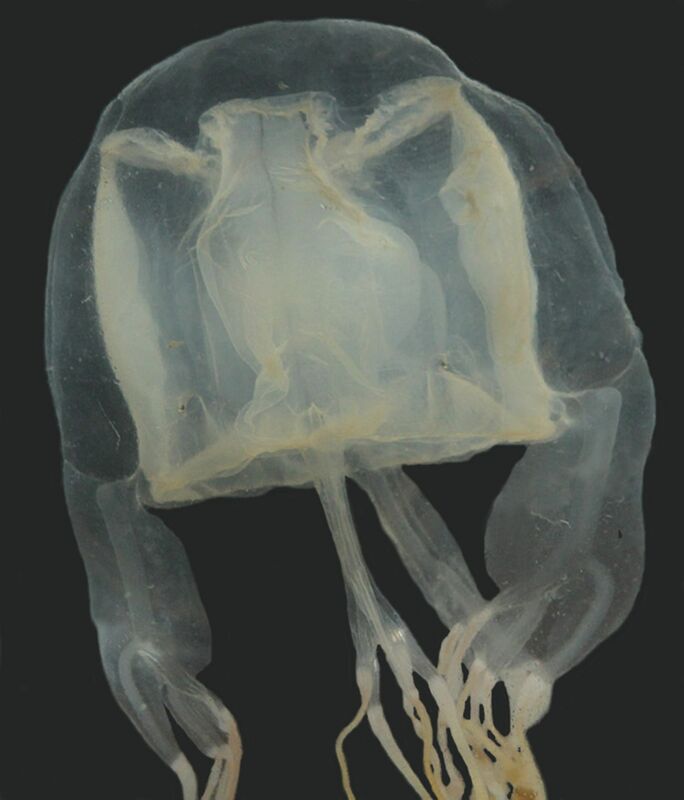 "It's got a whole lot of scientific characteristics which make it uni- que," he said of the species named Chiropsella Saxoni and is also known as the "pygmy box jellyfish". The larger major box jellyfish, named for its box-like body, has extremely fast-acting venom in its tentacles and can kill within minutes. "We don't think this one is deadly because no one has ever turned up dying from it, and it's rare," Dr Ekins added. "But that doesn't mean it won't give someone a very nasty shock." Dr Ekins, a collection manager of marine invertebrates at the museum, said that while it is rare to find new species of birds and mammals, there are "lots of jellyfish that are totally undescribed out there". "A lot of people think that everything in the ocean has already been discovered but it hasn't. In terms of things in the ocean, there are thousands of things waiting to be discovered."